” The Cruelty of Crush Videos Adverts contribute towards site running costs, but currently may not fit with the site ethos. We will continue to work on a solution. Crush Videos, or ‘animal snuff movies’, are videos of animal cruelty showing innocent animals, including puppies, kittens, and other companion animals, being slowly crushed to death, often under the feet of women, for the sexual pleasure of sick individuals. Crush videos have been made for many years. Unfortunately, the downside of the internet and social media means it is impossible to stop the visibility and publication of such acts. “Animal torture videos” would be a more accurate name, as not only do such videos involve torturing animals by slowly crushing their bodies, bit by bit, but they involve every other kind of animal torture conceivable, including burning or boiling animals alive. The aim is to cause the animal as much agony as possible. The image below is a still from a crush video. It depicts dogs chained up and being stood on. I cannot understand this. It must be one of the most degrading acts human can do! Where are these peoples’ Compassion? Empathy? Soul? Such videos are available online if anyone looks in the ‘right’ places, and on the black market for around $60. This ‘industry’ generate hundreds of thousands of pounds a year! Just think about that for a minute! Is this the price these sick and twisted people put on an innocent animals life? Who knows what makes these people like such torture? Apparently those with this sick fetish actually fantasize that they are the ones that are being crushed. This begs the obvious question: Why don’t they take part in the video’s themselves instead of the poor defenseless animals? The films are about 20 minutes long. The woman dishing out the torture is filmed from the legs down and inflicts slow torture by breaking the animals’ bones, slashing them open with sharp stilettos, poking their eyes out and other horrendous acts of wanton cruelty and violence. The videos end by the animals being crushed to death beneath the stiletto or by being sat on. I couldn’t agree with this statement more. These sick people need to be stopped NOW! The Legal Status of Crush Videos vary by region, but more shockingly, by animal category! The production or trade of these sick videos depicting Vertebrates (Animals with a backbone) is illegal in many countries such as the UK and the USA. Unfortunately it is not illegal in all countries. In the US there were lots of legal arguments about things like exceptions to the illegal status of such videos. For example, there was an argument about how such videos should be exempt from prosecution if they were produced for religious or artistic value. Of course that was a stupid argument and in 2010 the bill was signed by President Obama confirming the criminalisation of such videos. The most shocking discovery of all is the fact that there are no laws preventing Invertibrates (Animals without a backbone) from Animal Snuff Videos! Despite the ruling in the US, the nature of the internet makes ending crush videos very difficult. There are lots of technical tricks online which blur the application of the law and also makes tracking these monsters so difficult. In 2002, the UK recorded its first crush video case. A man and 3 women from the Stoke-on-Trent area pleaded guilty to animal cruelty charges and conspiracy to publish obscene material. They were making making videos of animals being tortured and killed. The prosecution rate in the USA for producing these videos is still low today. The first case in the US was brought against Thomas Capriola, a 27 year old from Long Island. Police raided the home he shared with his mother and found an aquarium full of mice and several pairs of women’s shoes with blood and guts all over them. As with all evidence of animal cruelty uploaded on the internet, it is important to report crush videos shown on the web to the correct place instead of complaining to the website. This is so that the evidence can be investigated with an aim to prosecutions being brought. Many people complain to the website, not realising that if the video evidence is taken off the website, there is no longer the evidence available to have them prosecuted. Please see how to report videos showing animal cruelty you see on the web, including in crush films, on this page: Online Animal Cruelty Videos: The best Way To Report Them. Check what you are about to watch. Do not contribute to the viewing figures. Stop watching the video when you realise it is a crush video. If such a video is linked to MySpace or Facebook, for example, alert the Website Support team in addition to the proper authorities. Humanity is depraved, and these videos are up there with the most sickening things anyone could ever do. We can all talk about how terrible these acts are, but words alone will not help stop the senseless cruelty that is inflicted on poor defenseless animals every day. Stand up and be counted! 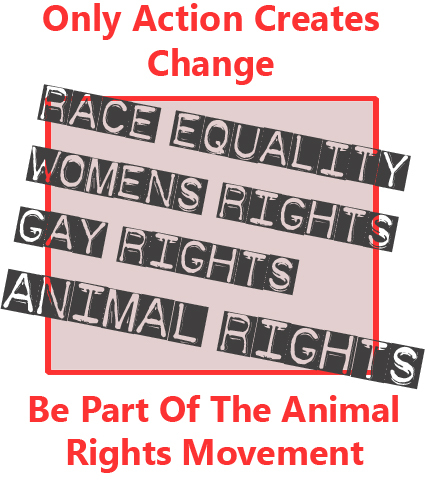 Sign petitions against all types of animal cruelty. Report any evidence you stumble across to the right authorities. do not let these scumbags get away with it! If you would like to find organisations needing your action and support to fight against a specific type of cruelty, enter the type of cruelty you want to help stop (for example “Stop Crush Videos”) into a search engine online, or search bar on social media. Search through a fundraising search engine so you can raise money to help animals with every search.